Talking about healthy food then you cannot miss out roasted seaweed nutrition because this sea vegetable provides wide variety of nutrient contents. 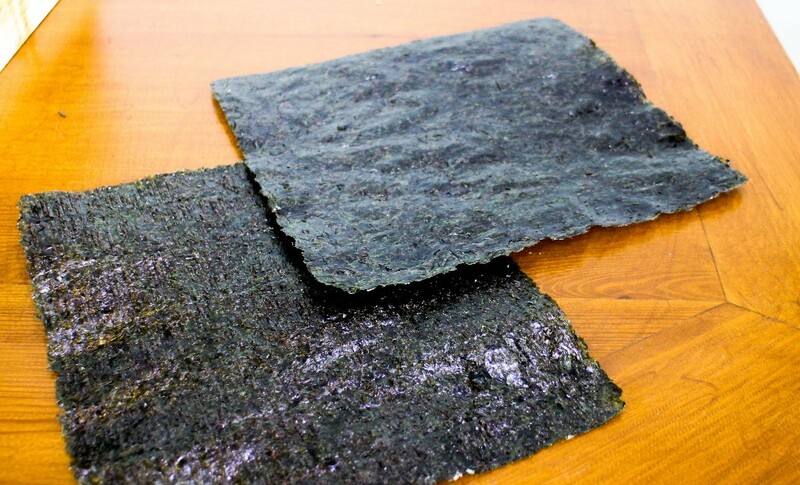 As time passes, many people now getting more familiar with roasted seaweed or in Japanese it is called as nori, a type of seaweed made into paper-like thin sheet. Taking advantages of seaweed nutrition can be experienced in many ways; you can eat the seaweed as healthy snack or roll it into sushi. 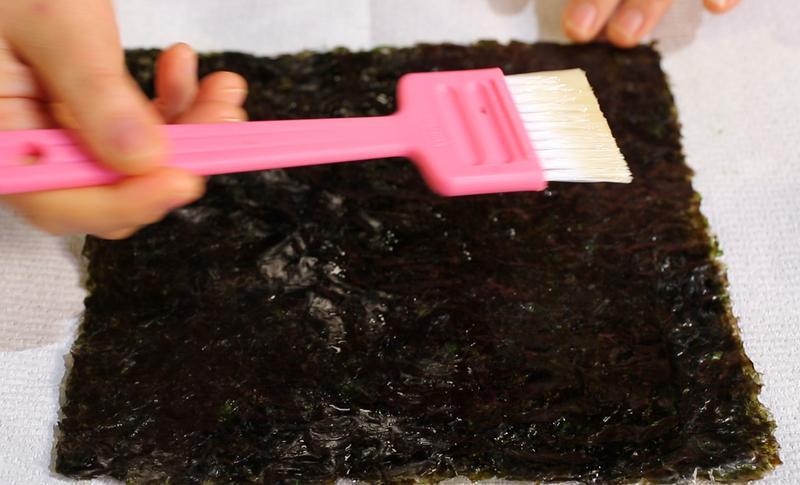 Want to taste different seaweed foods? Then you can also enjoying it as seaweed soups, seaweed salads, and seaweed stews. Simple seaweed served with steamed rice is the best one as well. When people lack in iodine, it can lead to certain illnesses and that’s why daily iodine intake is recommended and roasted seaweed is one of the best food sources that provide iodine. Iodine play a big role in thyroid system and can prevent thyroid enlargement although moderate consumption is needed because too much of iodine can give opposite effect. Eating 2 sheets are enough to get healthy roasted seaweed nutrition of iodine. Diet people who want to lose some weight can option for roasted seaweed since not only the sea vegetable low in calories and fats, but it also rich in fiber and protein. Fiber helps to promote healthy digestion system while protein is great to improve immune system. Fiber and protein can reduce appetite since they can give you full feeling in certain period of time. Fiber and protein also help to support body metabolism and system. Roasted seaweed nutrition including vitamins like vitamin B12, vitamin C, vitamin B6, vitamin A, and many more. Example of vitamin that have important role for our body system and nervous system is B12. This vitamin is not only help to promote healthier body and nervous system, but helps form red blood cells as well. Per sheet of roasted dried seaweed contains 1.2 mg of vitamin B12. You should be aware by the fact that roasted seaweed is not only low in calories but also in fat. 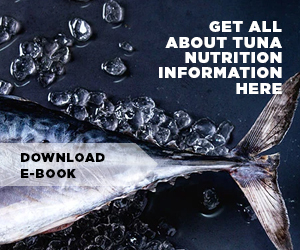 The products are naturally low in fats and calories because most of manufacturers do not need to add extra unhealthy ingredients and it is recommended to purchase roasted seaweed products made from seaweed, sea salt, and oil. 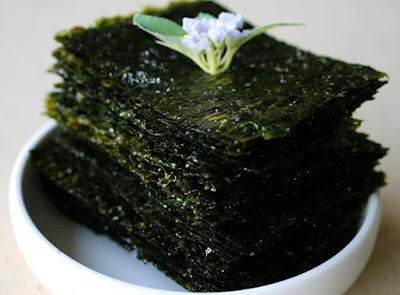 Seaweed provides unsaturated fat and the total amount of fat in seaweed is negligible. The healthy benefits of roasted seaweed are really surprising. Roasted seaweed is high in minerals such as zinc, iron, selenium, manganese, copper, and many more. These minerals help to promote healthy body function and system. Although seaweed is good to be eaten, but you need to pay attention with the amount of sodium intake especially for person who have high blood pressure and heart disease or cardiovascular illness risk. Eating seaweed to get the best roasted seaweed nutrition is recommended, however you should limit the consumption because too much both iodine and sodium will lead to bad effects. That’s why when you want to buy roasted seaweed in supermarket or groceries, read the label first just to make sure that the manufacturers do not add any unhealthy extra ingredients. 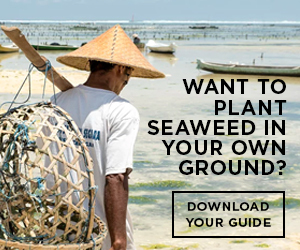 Now there are roasted seaweeds added with sugar and artificial ingredients to make the taste somehow more unique, but for your weight loss diet, choose the one which is plain seaweed. Another thing to watch out when buying roasted seaweed is the transparency and the color. 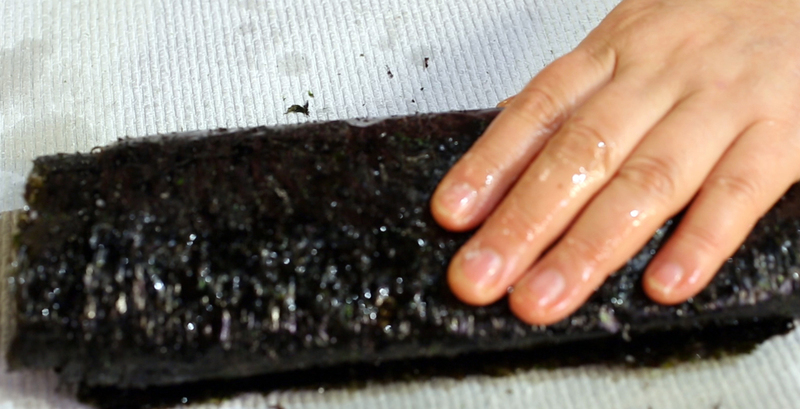 Better quality of roasted seaweeds like nori has less transparency and dark color. Although the price may go higher, but it is worth to spend a little bit more than you get cheap but unhealthier roasted seaweed. Those are information regarding roasted seaweed nutrition; hope it really helps you to understand more about roasted seaweed nutrition and how you can get the best product.